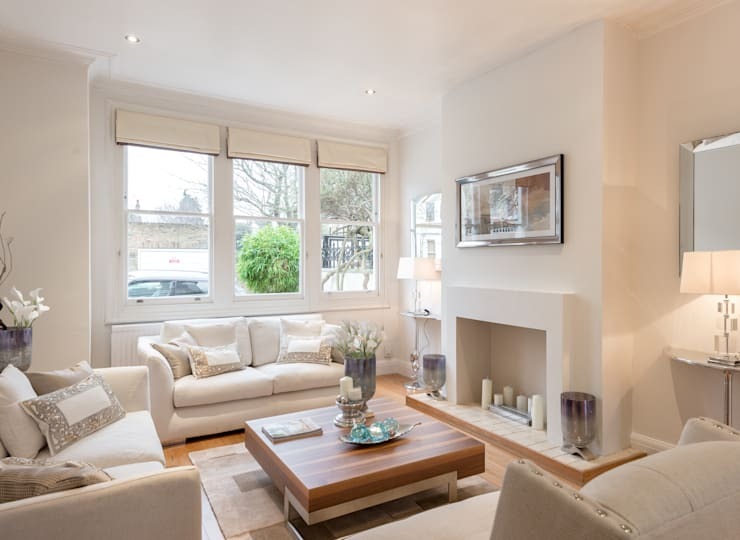 A house's interiors can look all cramped up when not taken into full consideration of the style and space. It's aesthetics that was sacrificed when space is limited or when furniture and decor are too overwhelming. Not to worry though, as designing your interiors isn't that challenging when you have the right tips and tricks. 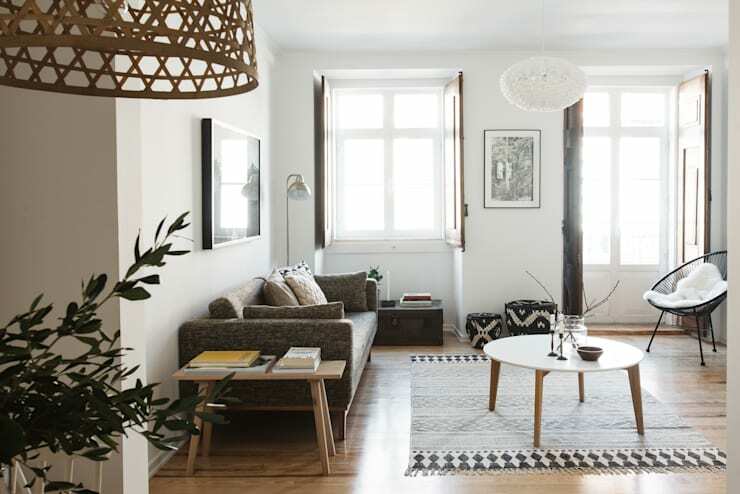 Check out these 8 furnishing ideas to make your spaces appear wider! When comparing dark tones and light hues, the lighter colors obviously is the better option when it comes to the illusion of wider spaces in your house. A soft palette featuring light and neutral colors instantly gives any room a feel of spacious. 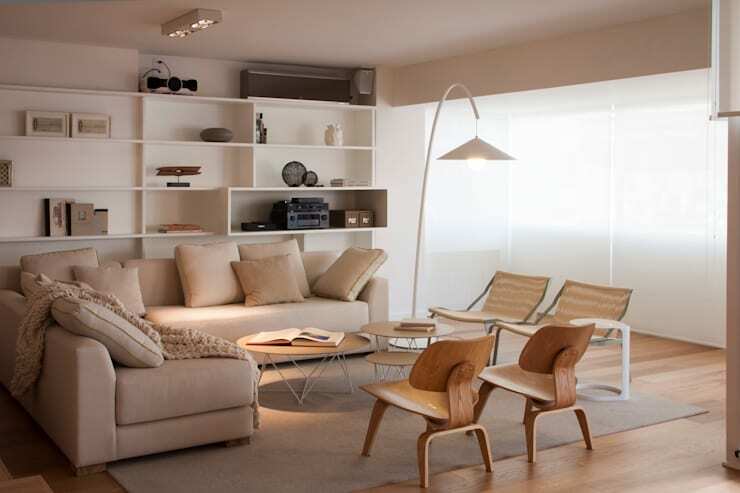 This living room design offers a beige and cream palette that brings subtlety and warmth to the room. To optimize space in the house, built-in shelves are good ideas. While normal shelves, cabinets, and sideboards are good display furniture, they can be very bulky and can take up a lot space in the room. Hollowed built-in shelves, on the other hand, are perfect for houses that have tight spaces. The element of the hollows creates an area for display and decor on the inner part of the wall rather than the outer part, thus, saving space. Take your windows on a higher level by installing a skylight! 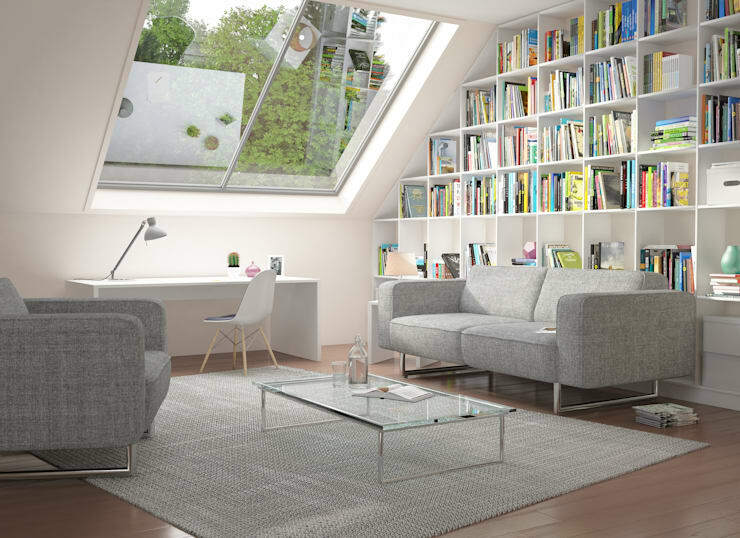 A skylight is another creative way to incorporate windows to your room. Often placed on the ceiling, a skylight brings in natural light to any room, making the room appear bigger and more spacious! A smart trick known to almost all homeowners is the magic that mirrors bring to a small, tight room. Got a small house? No problem! 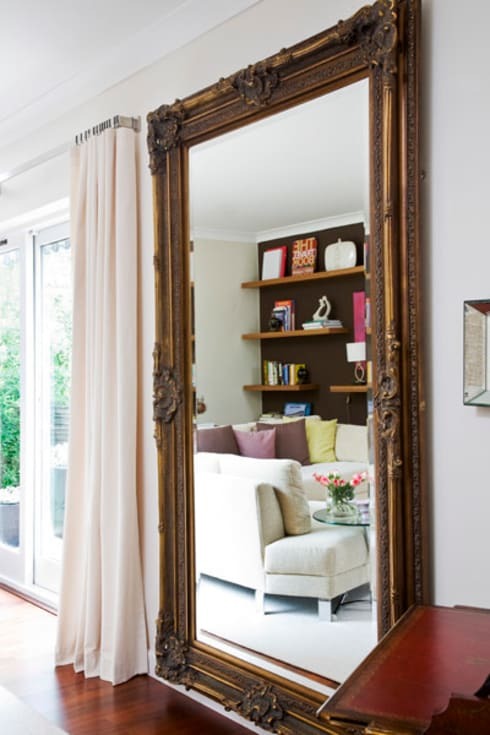 Add a large, floor-to-ceiling mirror, and your room will instantly double up in space! Mirrors create an illusion that widens up the entire room. Of course, maximizing spaces means going minimal with your furniture. A good tip is only furnishing the room with essential furniture pieces relevant to the room. This design from Homestories features an open space layout for both the living room and dining room with very minimal furniture. 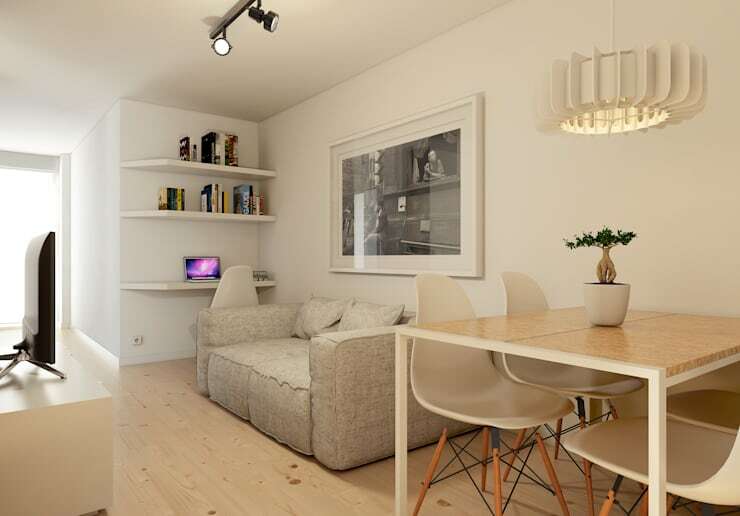 A partition for the rooms is also a good idea when you're not into liquid, open spaces. This is where a divider comes to the picture. Turn your ordinary divider into something more useful and functional like featured in this design above! Acting as both a partition to the rooms and a functional bookshelf, this dual-purpose divider is an awesome focal point of the house! If you like the idea of dividers, then you have to see these 16 cool wooden dividers for small homes! Natural light is another essential way to ultimately widen up any space in a room! The crispiness and freshness that the sunlight brings to room makes it a lot more spacious. Other than the element of natural light, lighting fixtures are also great alternatives that can help widen up spaces in the house. Check out this living room design by Ekaterina Donde Design -- task and accent lighting pieces flourish all throughout the ceiling and walls. To top off our list of tips and tricks on widening the spaces of your house, organization is always the key. If you want a clutter-free living space, organize the furniture and decorative pieces of your room. 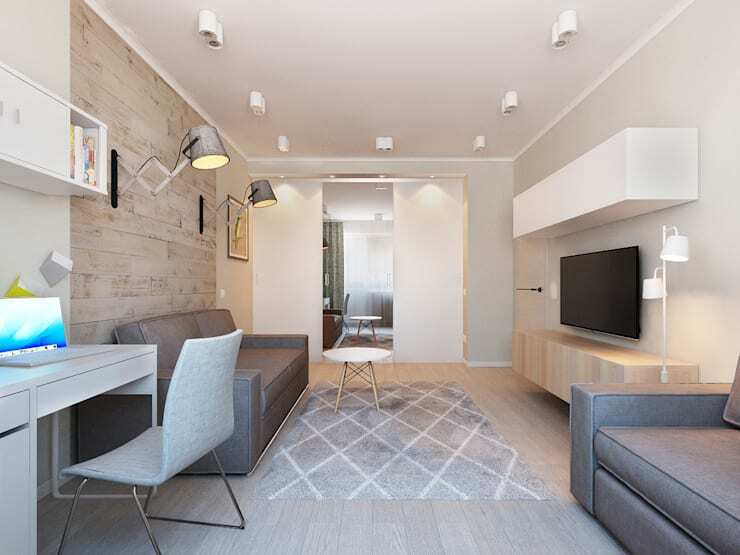 A simple and traditional way of keeping it coordinated is placing the bigger furniture intact with the walls and edges, making room for the center area.